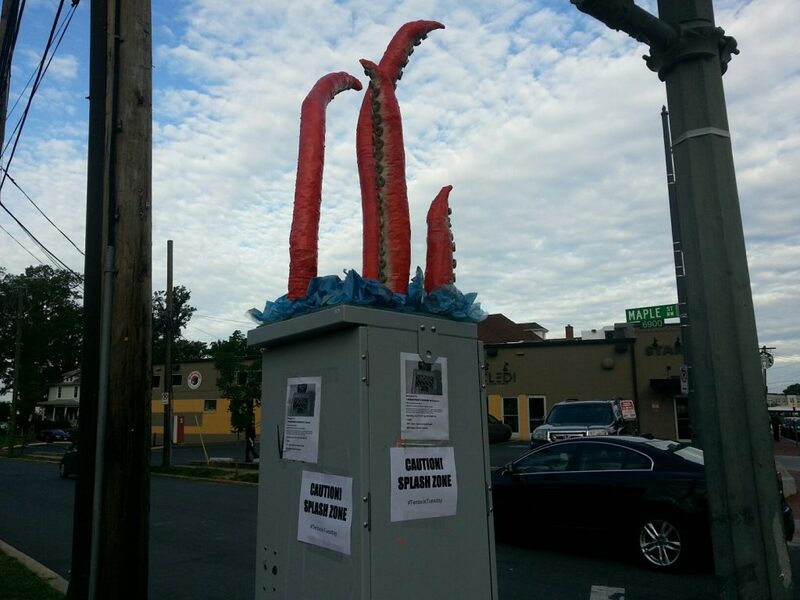 Be on the lookout for tentacles emerging from the tops of D.C. traffic boxes and in public spaces throughout the city starting this Tuesday and continuing through the summer. Local street artist Theodore Carter will show his 5-foot tall sculpture made largely from recycled materials. In February, Carter created #100DucksDC, a public display of one hundred illuminated ducks sculptures made of packing tape and other household items. He has also transformed a D.C. traffic box into a robot and the Empire State Building. 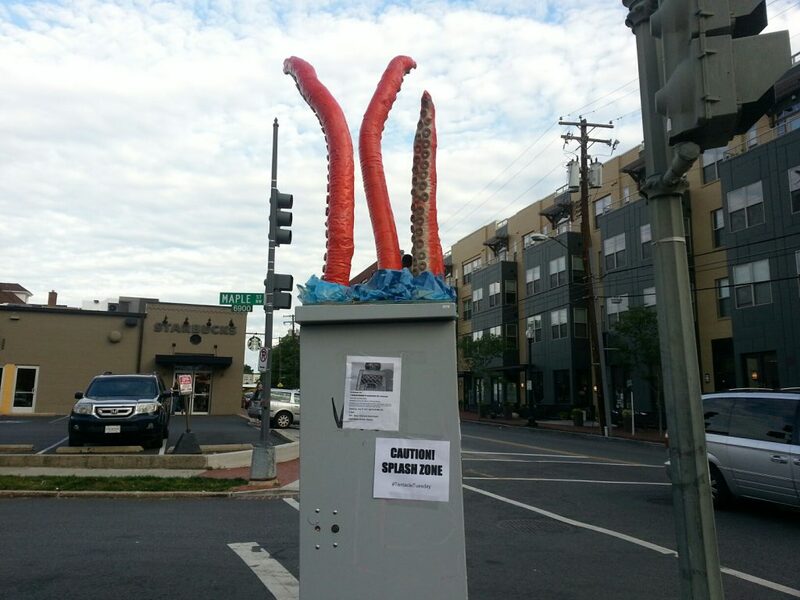 This Tuesday, the tentacles will appear atop a traffic box on the corner of Carol St. and Maple St. NW during the morning commute. By lunchtime, Carter will move the tentacles to a lot near the corner of Nebraska Ave. and Wisconsin Ave. Here are some pictures from this morning in Takoma DC. One of the Owners of Bloomingdale’s Boundary Stone in Negotiations to Take Over Swampoodle in 16th Street Heights! !